Early in the spring, young muskrats start wandering in search of mates and new nesting sites. So, for the next couple of months, muskrats may be seen straying beyond their characteristic waterways. 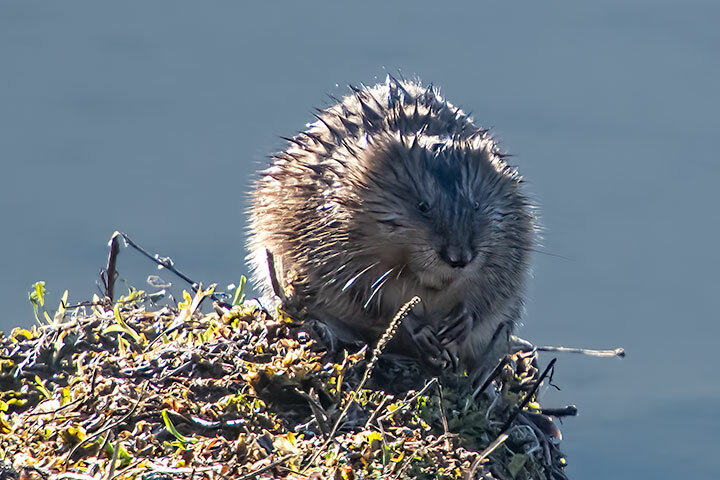 The muskrat sometimes gets a bad rap: It is not a rat, but a large aquatic vole. Besides, it is primarily a vegetarian. It is spring and a young muskrat’s fancy turns to searching for a mate.